Pamela Clapp, who was the Business Manager for over 21 years, has purchased the magazine. 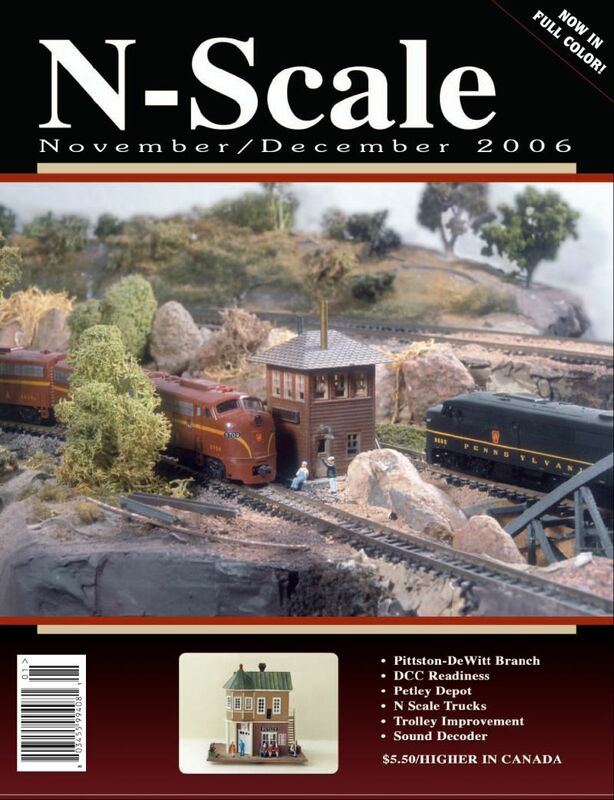 N Scale Magazine will be printed NOW IN FULL COLOR starting with the November/December issue. Shipping to subscribers October 16th. and we will pass on your request to N Scale Magazine. Hobby Shop Pages...just to name a few. More Pages Dedicated to Articles! We at the "New" N Scale Magazine will be looking for new material which would be of interest to all N Scalers. If you have an article you would like to write about or share with our fellow N Scalers - we would like to hear from you. If you have interesting color slides or photographs of model or prototype subjects please feel free to contact us.